The Kidney Foundation of Ohio is a nonprofit, tax-exempt charitable organization under Section 501(c)(3) of the Internal Revenue Code. Donations are tax-deductible as allowed by law. By making a philanthropic donation, you’re helping to provide life-saving medication, transportation and emergency assistance to patients suffering the effects of kidney disease and related disorders. Don’t forget to ask your employer if they match charitable donations! Tribute gifts are a meaningful way to honor the life of a friend or family member, living or deceased. It provides the opportunity to make a donation to celebrate a loved one’s survivorship or a special occasion - birthday, anniversary, wedding, or recognize a friend or relative who has kidney disease. Make a gift using our secure online giving form, print off a mail-in form or call our office. We will notify the honoree or honoree's family about your gift. By making a contribution, you are committed to supporting a broad program of direct assistance to persons with kidney disease within the Foundation’s thirty-seven county service area. You support that all people with renal disease will have a measurably improved quality of life and function as a result of the services provided by the Kidney Foundation of Ohio. Make a philanthropic gift by using our secure online donation form, printing off a mail-in form or by calling our office. We rely upon the generosity of donors in supporting our fundraising efforts through special event registration, in-kind auction donations and corporate sponsorship. Annual fundraisers provide the Kidney Foundation of Ohio needed funds to deliver life-saving services and programs for patients and healthcare professionals in communities in which we serve. By attending, or planning a fundraiser, you are helping to support the mission of the Foundation. There are planned giving options for every donor. Choosing the right type of gift depends on your personal circumstances and financial goals. It provides you the opportunity to leave a legacy and maximize philanthropic objectives. Determining what type of gift is right for you is just as important as making the gift. 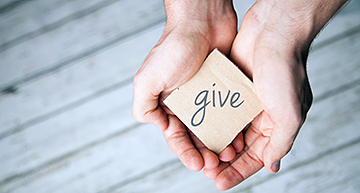 A range of charitable giving options can be personalized to meet your needs and can include benefits such as current charitable income tax deductions and savings on capital gains, income, gift, and estate taxes. 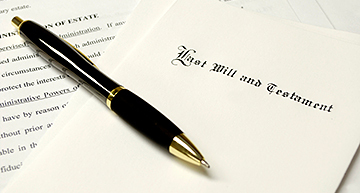 We are happy to assist you and your family in achieving your financial and philanthropic goals. All gifts, large and small, make a difference in the lives of patients and their families who are assisted by the Kidney Foundation of Ohio. For more information on making a planned gift, contact Kelly Dowling at (216) 771-2700 or kdowling@kfohio.org.